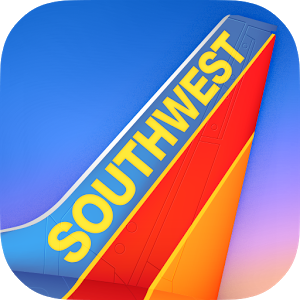 There's not a whole lot that one company can do to make the hellish miasma of American air travel better, but bless them, Southwest Airlines is trying. 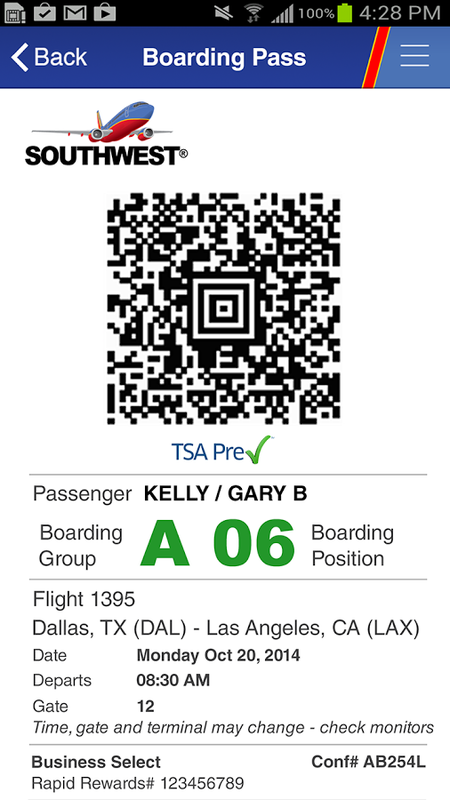 The latest update to the company's official Android app tweaks the interface yet again (the second time in a year), and adds a mobile boarding pass to save you just in case you forgot to print it out on old-fashioned dead trees before leaving. 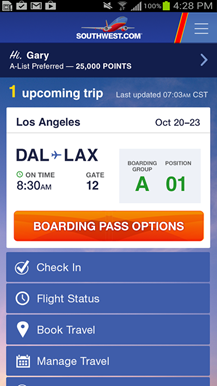 Apparently the mobile boarding pass, which lets you display your phone or tablet to board the plane instead of a printed pass from your computer or the airline check-in counter, has been in testing earlier this year. 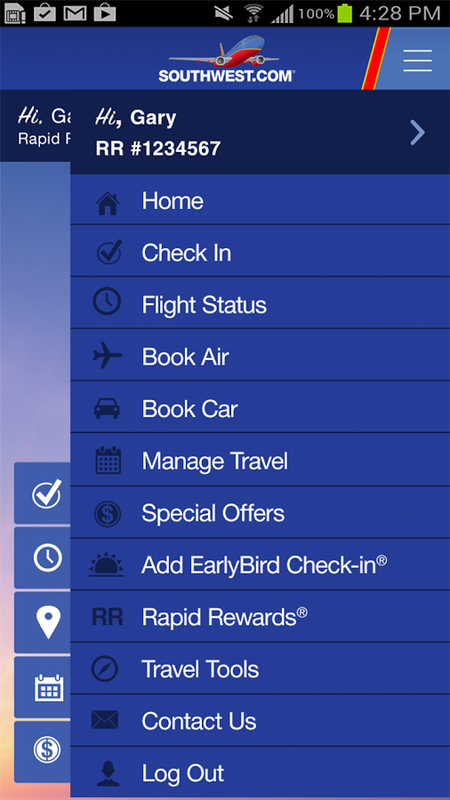 After a beta period it's now available in 28 of the airports that Southwest services. 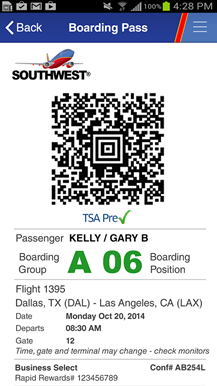 That's certainly not all of the airports in Southwest's network (I imagine that the gates need new hardware and the attendants need training), so a prudent traveller would probably still print out his or her boarding pass just in case. 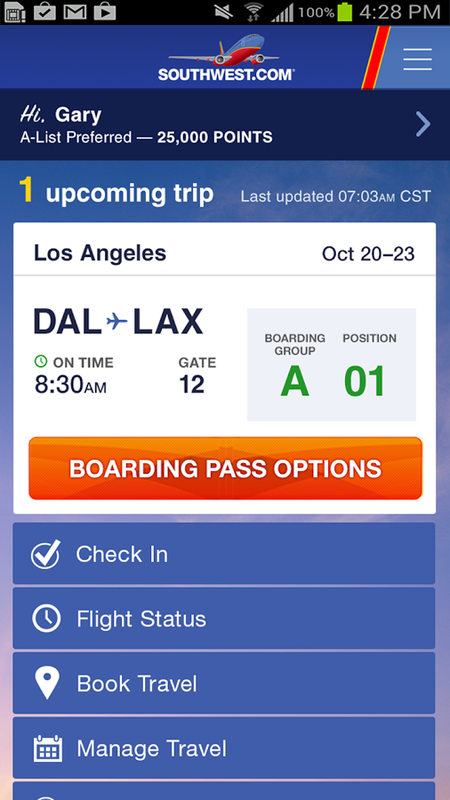 The UI changes are mostly limited to the homescreen, with a redesigned card showing your upcoming flight and the usual time, gate, and flight number info. 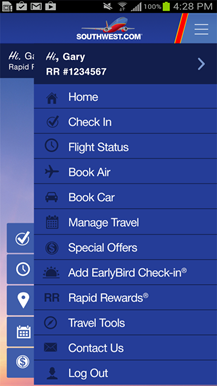 The app is free, of course, and works with Android devices running 2.2 or higher.